David Foster Wallace's extraordinary writing on tennis, collected for the first time in an exclusive audio-original edition. A "long-time rabid fan of tennis" and a regionally ranked tennis player in his youth, David Foster Wallace wrote about the game like no one else. 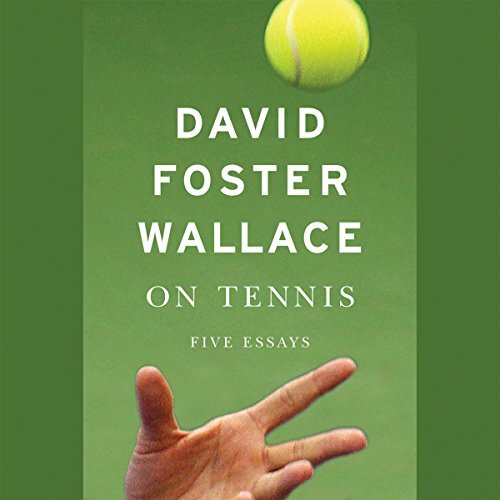 On Tennis presents David Foster Wallace's five essays on the sport, published between 1990 and 2006, which have been hailed as some of the greatest and most innovative sports writing of our time. This lively and entertaining collection begins with Wallace's own experience as a prodigious tennis player ("Derivative Sport in Tornado Alley"). He also challenges the sports memoir genre ("How Tracy Austen Broke My Heart"), takes us to the US Open ("Democracy and Commerce at the U.S. Open"), and profiles two of the world's greatest tennis players ("Tennis Player Michael Joyce's Professional Artistry as a Paradigm of Certain Stuff About Choice, Freedom, Limitation, Joy, Grotesquerie, and Human Completeness" and "Federer Both Flesh and Not"). With infectious enthusiasm and enormous heart, Wallace's writing shows us the beauty, complexity, and brilliance of the game he loved best. Anyway, I still love DFW. And loved rereading most of them and am still amazed at DFW's ability to infuse his writing with passion, maths, and somehow translate the kinetic beauty of Tennis specifically, but sports also into the written word. I hate to overplay it, but sometimes I feel the same way with DFW talking about Tennis as I felt when I read Tolstoy talking about God or Melville or Conrad about the Sea. His writing at moments when he is talking about trigonometry, athletic achievement, and velocity, becomes both flesh and light. One of my favorite lines, I think it may have been from the second essay about Tracy Austin, he talks about Michael Jordan "hanging in midair like a Chagall bride". Perfect. David Wallace was a master of his trade. I will venture that practically anyone will enjoy this book of five essays. I've read through it multiple times now and it's always entertaining. 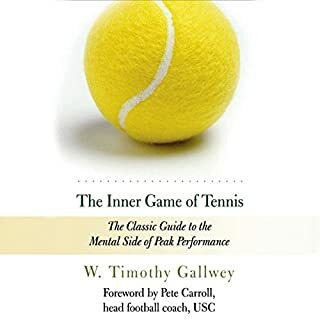 If you like tennis you will surely find this book to be a favorite. 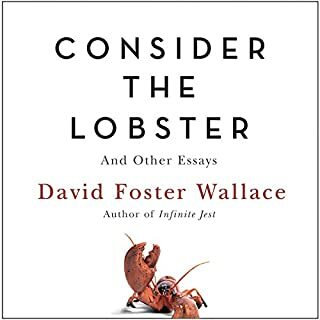 If you ever picked up "Infinite Jest" and weren't enthralled (as some of his fans are) don't worry, this is well written nonfiction essays, and it's a very engaging read. One of America's greatest, a fine tennis player as a young man whose prose and observations make this among the best sports books of American literature. Not since Halberstam's The Amateurs has a short book so beautifully illuminated a sport that it actually transcends sport itself. 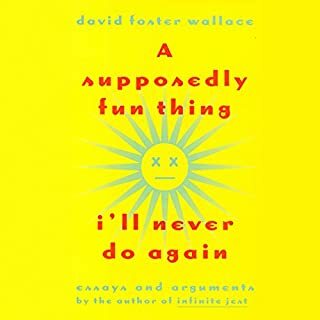 Wallace never intended these articles to be accumulated in an audiobook, but we are all the better for the efforts of Hatchette Book Group. The first chapter is primarily a tedious description of weather conditions in the author’s hometown and, tangentially, how the wind there on occasion affected his tennis game. The second chapter is an even more tedious “take-down” of a Tracy Austin autobiography, an essay that was probably once thought to be “brutal” and to deliver a real comeuppance, but that now is boring and trite. The third chapter is an interminable description mostly of qualifying play at a Montreal tournament in the mid-90s, marred by cheap shots at Andre Agassi of all people, and long-winded descriptions of minutiae such as the available concessions, and of long forgotten low ranked players of that time. The fourth chapter, ah, forget it. I was recommended this collection by a journalist friend after they learned of my extensive competitive tennis history. This text is such a true summation of multiple facets of the professional and semi-pro game and all beautifully, colorfully, written. Read it and understand and appreciate this poetic game in a new way. David Foster Wallace brings to life all the grace beauty and difficulty of tennis. He shares personal childhood experiences both high and low in this life transforming sport for him. 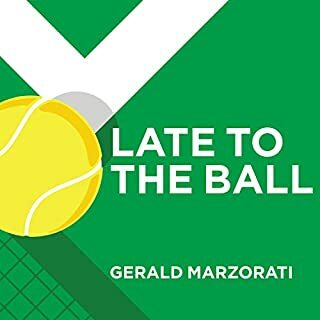 He brings deep insight into the lives of professional players and delves into the inner recesses of the game familiar only to those who have deep experience with tennis. 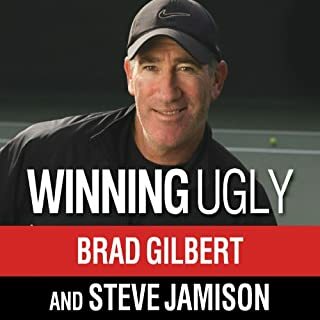 It is a fantastic voyage into the author's mind, and it is a pleasure to enjoy the rich tapestry he weaves with words about this wonderful sport of tennis. Brings to light with crystal clear focus the wonders of competitive tennis. So, and also entertains and enlarges ones understanding of the miraculous diversity of human beings. Footnotes aren't distracting, as I feared that they might be. Highest marks to the narrator. It's an excellent book on the subject of tennis. I just didn't enjoy this constant digression to footnotes and wasted effort and snarkiness of the chapter on us open organisation. 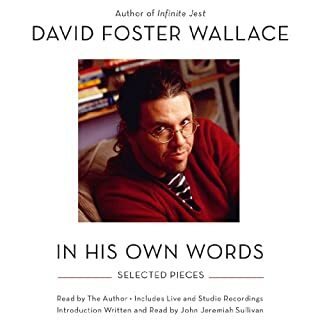 Did learn a bit more about tennis organization and player quirks and finer points about why the greats are attain and maintain their amazing abilities but I mostly enjoyed the book just for its narration style and the stories David Foster Wallace has woven. Definitely a unputdownable book narrated wonderfully by Robert Petkoff.